Previous PostWhy Snapchat will growNext PostCan you leave academia…and be happy? Thank you for an inspired lecture! It was thought-provoking and I found myself “rooting for” your expansive approach to product design. I can see how ethnography could lead to truly inspired advances in design! And, I look forward to your book. Thanks very much, Donna! It was my pleasure to be there. I didn’t know much about ethnography until I heard your lecture in our class. I was enthralled. It’s an utterly fascinating field, and your presentation to us was outstanding. Thank you so much for taking the time to speak to us. I, too, am looking forward to your book. That is indeed high praise! thanks for stopping by! Sam, as a “professional idiot” (a kind of joke / reminder to ourselves on the team to not leap to conclusions), I wish I had read this post early on (although I admit that the ideas would have not made as much sense for me, had I not gone through the readings and processes of the past few weeks). Thanks for digging into the theoretical underpinnings of an ethnographic approach; I feel like I’ve been “floating” for a while (my attempts to read Heidegger were in vain) but this post just clicked — I have a feeling I’ll be coming back to it if I’m ever feeling lost on Why or How Ethnography in the future. I also look forward to your book, and am really glad that “my eyes have been opened” to the many layers and flavors of design research and ethnography. You and Cat definitely have both been a huge part of that. Glad it have you something, Joyce! 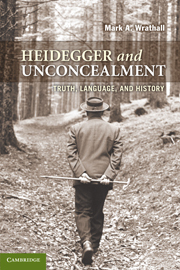 Heidegger was a mystery to me for years, and then, it just clicked as you say. Keep reading and thinking. Out of curiosity, where did the phrases “being practical” versus “being theoretical” come from? I thought I knew my Heidegger thanks to Dreyfus’s ‘Being and Time’ lectures but obviously missed that idea! It is in Being and Time…in the earlier pages, if I recall correctly. Incidentally, Dreyfus himself may not cover this because he might not agree he himself is “being theoretical” in his work. Essentially, it means that to engage in the “public world” one must be fully aware and actively fight against one’s own “forestructure” and instead embrace a techne way of doing. This is very hard for academics to do, but hard also for designers and applied researchers.